In partnership with the Canadian Council for Private Public Partnerships. of detail to its clients. 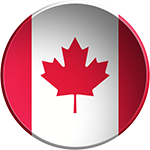 Public-Private Partnerships (PPPs) in Canada and across international markets. With this, TORAZA is now able to deliver the training and examinations for all three levels of the CP3P certification program. By offering the full program, TORAZA can now support professionals across Canada who are seeking to earn the “Certified PPP Professionals” qualification. Dedicated to support public and private sectors in meeting the targets presented by national and global infrastructure initiatives and strategies. Professional training courses for the qualification of APMG’s “Certified PPP Professional” (CP3P) Program through classroom and in-house training arrangements. Identify national and global industry trends and enhance the capabilities of professionals to achieve the objectives of national strategic visions. 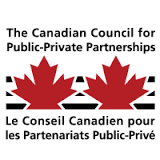 We are a "Corporate Member of The Canadian Council for Public-Private Partnerships".